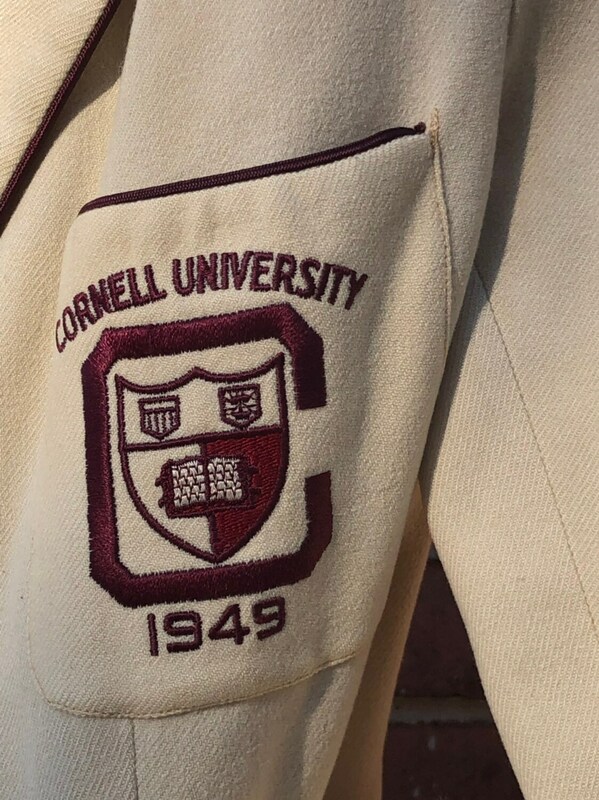 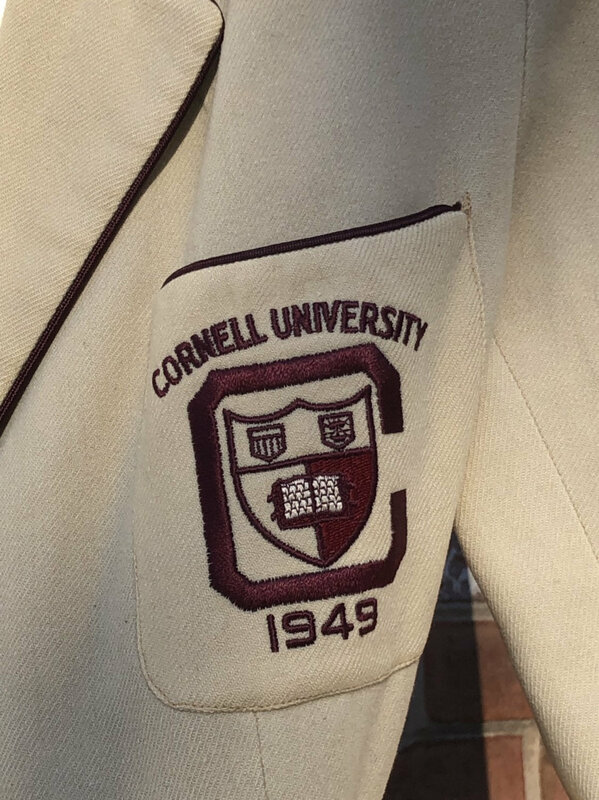 Class of 1949 Cornell University matriculation blazer and matching wool beret in cream and burgundy. 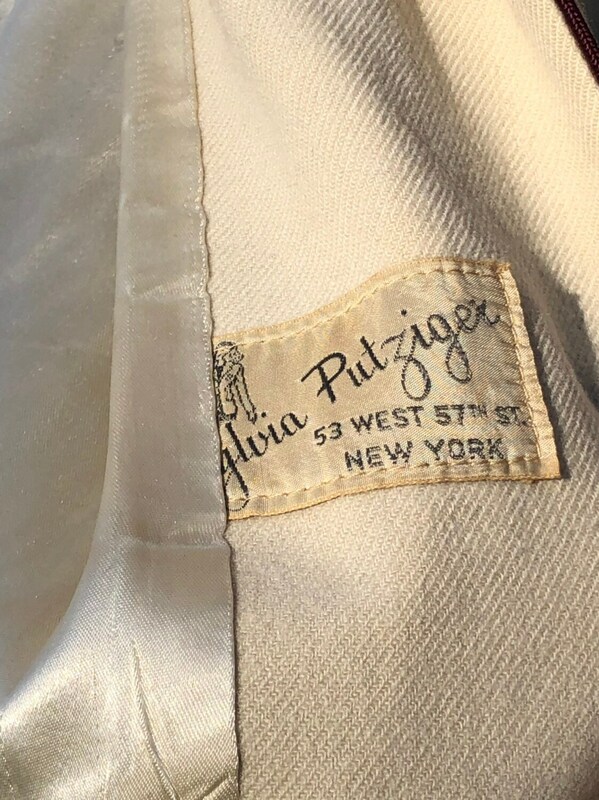 The blazer was tailored by Sylvia Putziger on 53 W 57th St, NY for Esther B. Kranz who attended Cornell (she gave me the blazer). 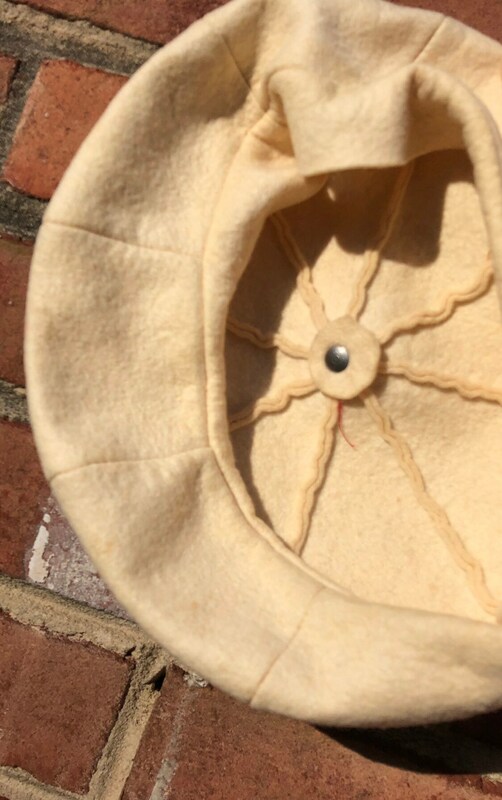 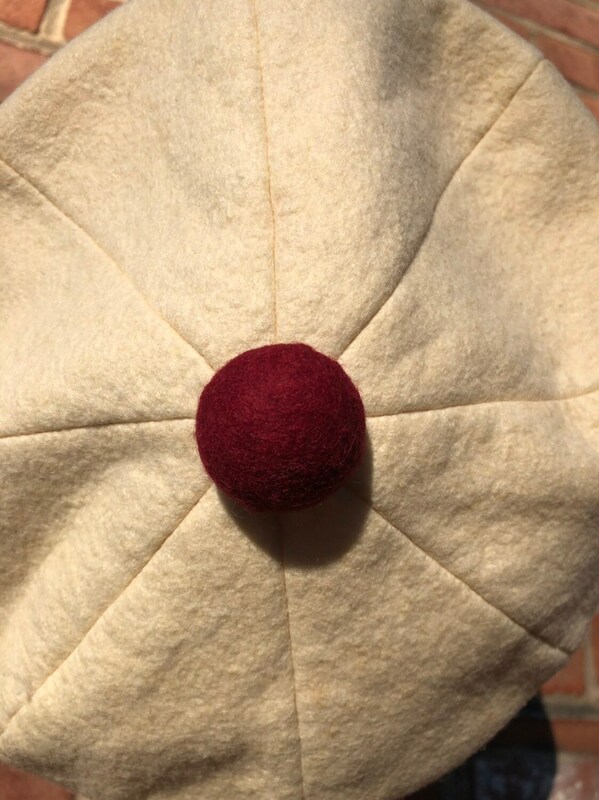 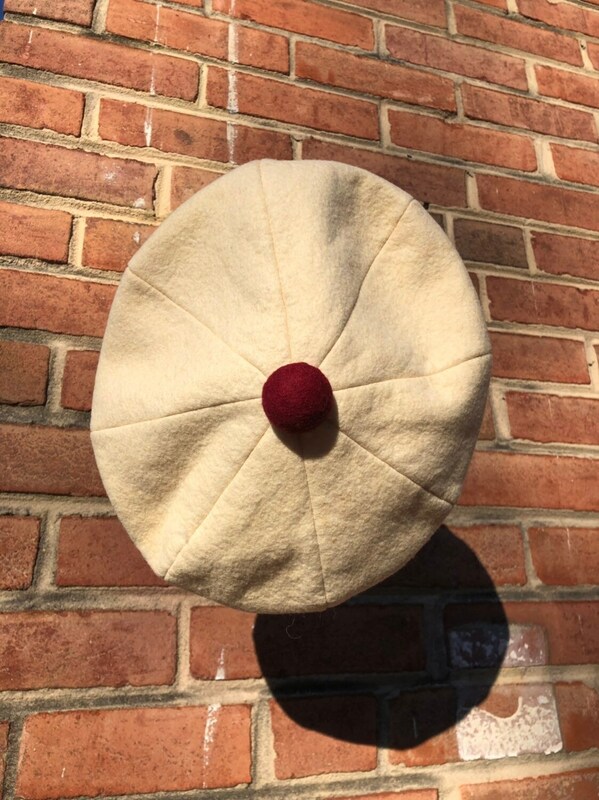 The beret is unlabeled and may have been an official Cornell issued hat. 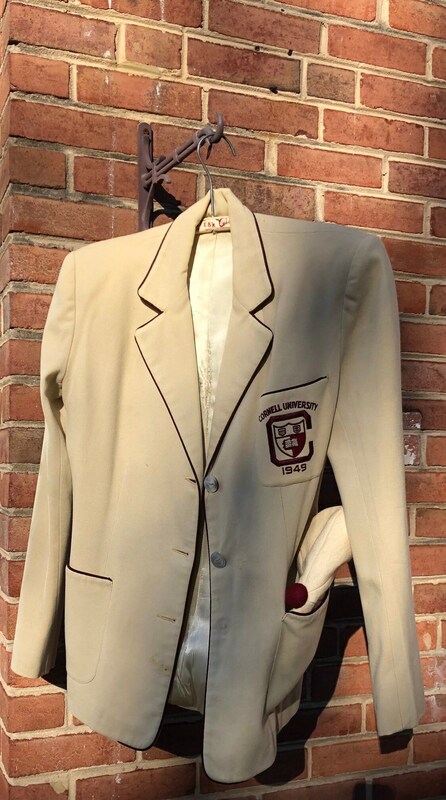 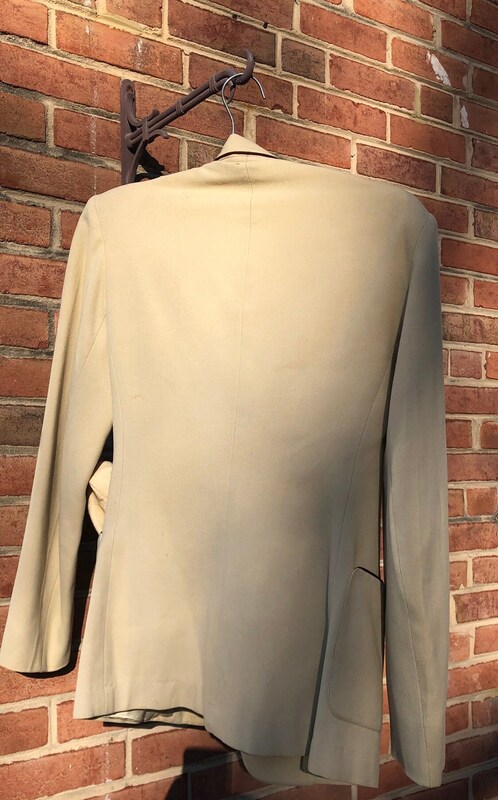 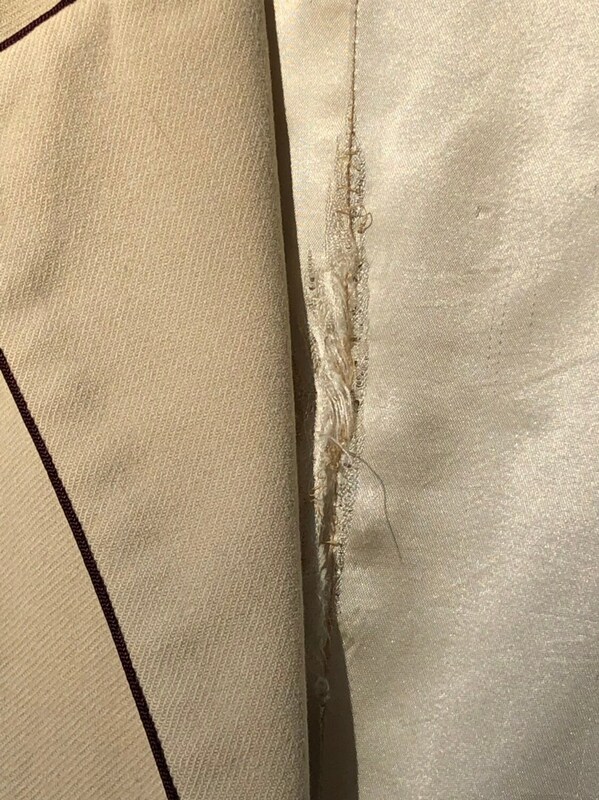 Some wear to the blazer including a missing button.